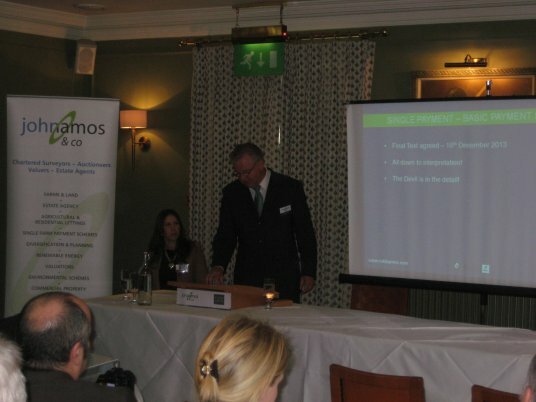 John Amos & Co and Cobb Amos were delighted to host seminars at both Castle House Hotel, Hereford and Lion Court, Leominster. The seminars were well attended by around 60 local professionals. Speaker John Amos gave an update of rural matters and in particular, Single Farm payments. Joanna Cobb and Stephen Saunders presented an overview of current property market conditions, lettings and property auctions.